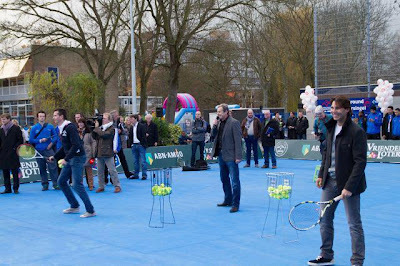 This week Rafael Nadal & his girl friend Maria Francisca Perello "Xisca" visited Rotterdam to lend support to Richard Krajicek, who was opening his 100th tennis playground in support of Richard Krajicek (1996 Wimbledon Champion) Foundation. 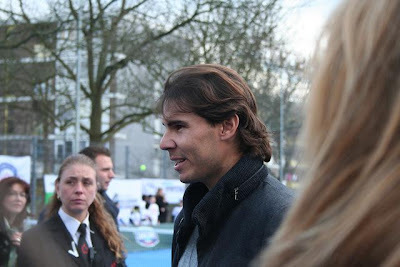 When Rafa Nadal was asked if he will be playing in Rotterdam in future, Rafa categorically stated that he is not sure as to how his knees will cope up after he makes his return to competitive Tennis in 2013. 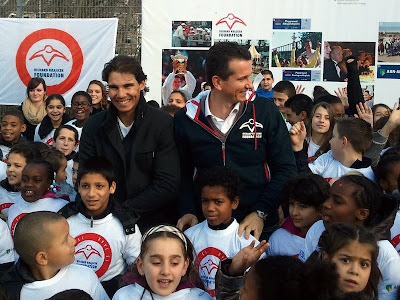 Rafa Nadal also hinted that he will have to think twice before playing in Hard Court Tournaments & will have to prioritize playing in Clay Court to ensure his career's longevity. Tnak you Inez for sharing , can't wait to see his eturn on court.